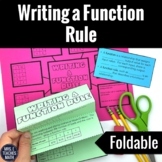 13 practice problems on writing function rules from words, tables, and mapping diagrams. 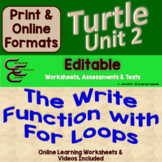 This is a 6 slide powerpoint which focuses on writing function rules from word problems, identify the independent and dependent quantities, and make predictions based on the function rules. There are 5 different stations that students will visit. 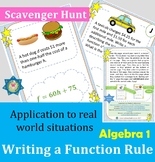 Each station has a word problem that they will be asked to write a function rule. In addition, there are a few follow up questions at each station. 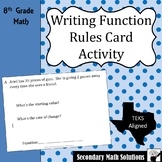 The 5 station cards are included as well as a sheet for students to record their answers. 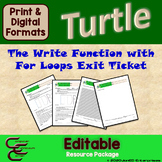 This worksheet has 8 function tables where students are given both the input (x) and output (y) values. 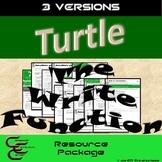 From there they must come up with the function rule. 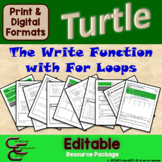 In this mini-project, students create a poster on the four ways to write functions: ordered pairs, tables, graphs, and mapping diagrams. A rubric is included. 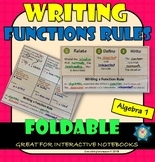 One page of guided notes for writing a function rule and 4 practice problems following. 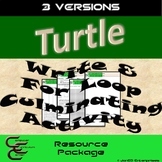 Written for an 8th grade math class but could be used for other courses. An answer key is included. 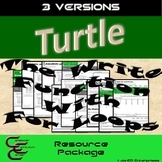 Included in this zip folder are 10 Power Point files. 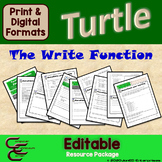 5 are introductory lessons, 4 are assignments and 1 is a 1 page printable reference. 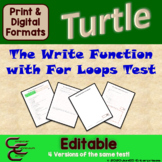 A brief description of each: Intro #1 is a 19 page 9 formative assessment question file. 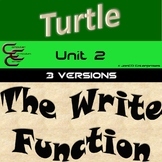 The emphasis is writing a function using the interest formula I=prt.